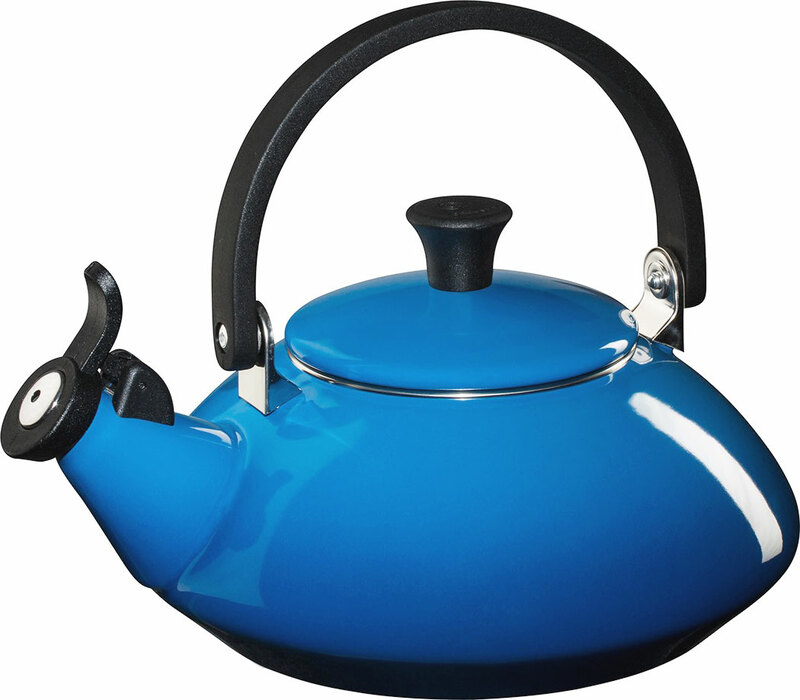 A stylish stove-top kettle in enamelled steel. Asian inspired wide base design holds 1.5 litres. 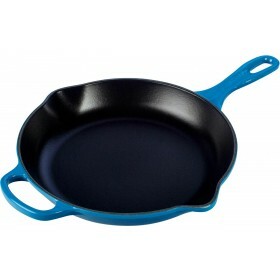 Conducts heat efficiently and evenly, boiling water quickly. Matt black stay-cool phenolic folding handle. 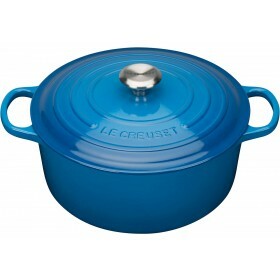 Le Creuset decal on the base. Fixed whistle with hinge, stainless steel ring around spout. Le Creuset kettles are fashioned with the same good looks and quality craftsmanship that have made its cookware a kitchen staple. The Zen model's design brings an Asian touch. 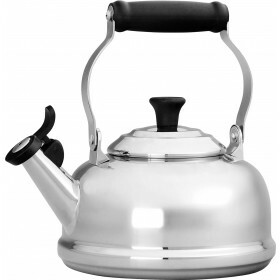 The kettle is very efficient, alerts you with its whistle when it is boiled and what's more, it's easy on the eye and quite a conversation piece with friends and family when they drop in for a brew. 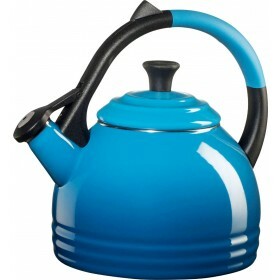 Have been really thrilled with my Zen Kettle. It works brilliantly on my induction hob and looks so elegant. I wouldn't go back to an electric kettle, this is so much better. It is not often I get so thrilled about a kitchen applicant or gadget but my Le Creuset Zen kettle makes me smile each time I come into the kitchen. 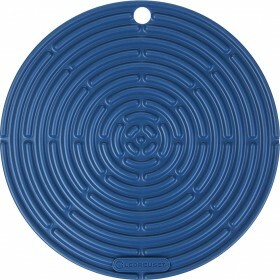 It is simply elegant and works a treat perfect addition to my kitchen and I just love it. 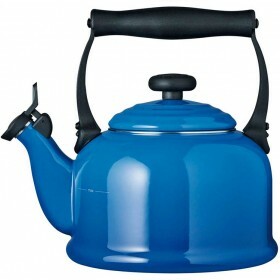 To let you know that I have received my order and am delighted with this kettle. I also wish to commend you for your great service including communication and dispatch. It’s a joy to deal with a company which applies all the worth ethics customers expect. Thank you very much. B.L.